Collaboration sample game due out on November 29 in Japan. 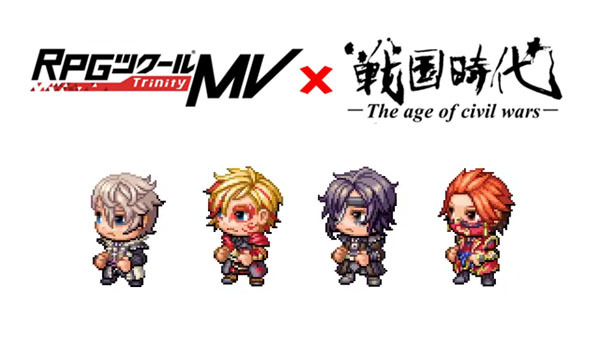 Kadokawa Corporation has announced a collaboration with Japanese rock band Sengoku Jidai: The Age of Civil Wars for the console versions of RPG Maker MV.The company will release a sample game created in RPG Maker MV called Sengoku Jidai: The Age of Civil Wars – Road to the Nation on November 29 in Japan. The sample game will feature 10 songs that can be used as background music tracks by users in creating their own games, including new music from the rock band, as well as the members of the band as character sprites. RPG Maker MV launched for PlayStation 4 and Switch on November 15 in Japan, and is due out for Xbox One in early winter 2019. All three versions of the game will launch on February 26, 2019 in North America and March 1 in Europe. Watch a trailer for the collaboration below.